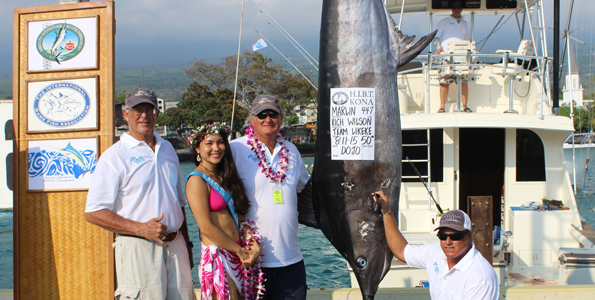 With near perfect conditions, scoreboard action continued to heat up on this second day of the 56th Annual Hawaiian International Billfish Tournament (HIBT). The top teams are locked in a very tight race witnessed by incredibly dynamic fishing. Afternoon action put Australia’s Sunshine Coast Game Fishing Club in the lead. Nearly all fish caught are tagged and released throughout the tournament. HIBT tag and release strategy captures valuable points for teams and boat captains. HIBT fishing continues through Friday.